Geneviève is Counsel with Westaway Law Group, providing litigation, negotiation and strategic advisory services. Her growing practice includes Indigenous Law, the firm’s primary speciality, as well as Employment, Human Rights, and Equality Law. Geneviève graduated from the University of Ottawa’s Faculty of Law, where she developed a strong affinity for litigation and alternative dispute resolution processes. She completed a specialization in Dispute Resolution and received the Beament Green Prize in Advocacy. Geneviève brings a wealth of knowledge, passion, and experience in advocating for equality rights to Westaway Law Group. Prior to law school, Geneviève completed an Honours undergraduate degree at McGill University in gender studies. During law school, Geneviève coordinated a public legal education program for high school students on their Charter rights. She served as the Ottawa branch Chair of the Women’s Legal Education and Action Fund (LEAF), a national non-profit working to advance the substantive equality rights of women and girls in Canada. Geneviève was also the Student Editor for the Canadian Journal of Women and the Law, where she helped expedite a special issue on the Missing and Murdered Indigenous Women and Girls Inquiry. She continues to be active with numerous community and legal organizations dedicated to promoting equality rights in Canada. 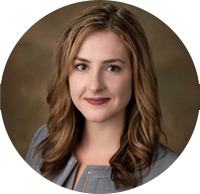 Geneviève joined Westaway Law Group as an articling student and is thrilled to continue assisting the firm’s clients in her new role as legal counsel and the coordinator of the firm’s students and new members. Legal drafting and research for cases relating to section 35 hunting, fishing, trapping, and gathering rights; Treaty Land Entitlement implementation; and the Crown’s duty to consult and accommodate First Nations. Assisting on cases before the Federal Court, the Federal Court of Appeal, the Ontario Superior Court, the Court of Québec, the Saskatchewan Queen’s Bench, and the Supreme Court of Canada. Assisting First Nations with self-governance negotiations. Assisting First Nations with negotiating settlements for legal claims. Assisting employees and individuals in pre-litigation settlement discussions on unjust dismissal, discrimination, and sexual harassment matters. Drafting and reviewing permits, partnership agreements, and other corporate agreements and documents. Legal drafting and advisory services related to consultation, public engagement, legislative and policy reviews, jurisdictional issues.